Rolands System 8 is going to become true. 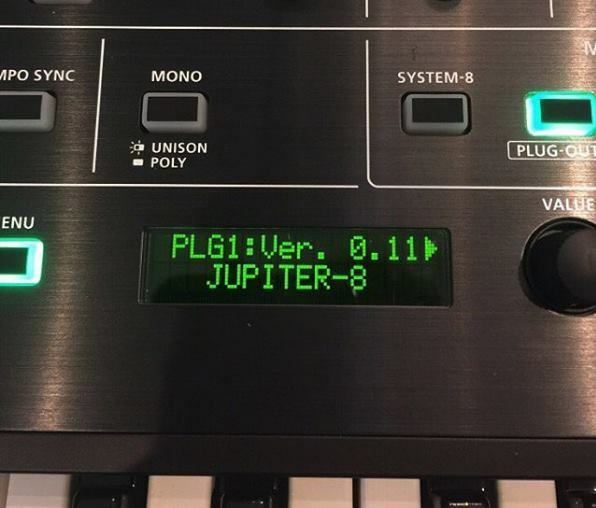 Upper/Lower – Split – 2 Plugouts can run on each, so mixing Juno and Jupiter 8 (or System 8) in a layer is possible (new) – all 8 voice. new Variation via 7-segment-display OSC1-2 & LFO, Filter (do we have hpfs here? they say the System 1 Plugouts work as well, so you can go for those as well (not confirmed but said in a demo video) – guess they stay monophonic, though. hope for the Jupiter 4 with „mods“ like a 2 VCO-Jupiter 4/Promars with 4-8 Voices. More likely to see the Boutique-Synths as Plugouts in here. So the only one missing so far is the JX3P/JX03 – but it’s been said it’s the above, no Jp4 and those that are already there – so I guess it will stay there. no D50 (for sound design rights reasons to spectrasonics), the only synths that „make sense“ whould be SH5 or modular ones and maybe the JX8P or the digital JP8000 (legacy mode!) – but well – I don’t think so. Einladen von Plug-Outs sieht so aus – Einfach am Plug-in auswählen, einen Slot wählen und warten, es dauert etwas länger als beim System 1..
Those internal Plugouts are uploaded via .BIN File – upload it to the System 8 via USB „as a USB-drive“ and reboot – maybe update factory presets afterwards – that’s all – you can wipe slots also individually and set brightness of the green LEDs and switch of the LED Casino-Mode. and within that filter section: dynamic hpf? so do we see the SH5 structure or System 100 in here with 8 voices? 4 real size octaves – I assume with dynamics – hope for real settings for Env Amt on Filters. There are 2 Sliders – maybe Amp and Filter Sensitivity? yes – but directly controlling the cutoff – as extra setting. new things: TB03 & TR09, Vocoder VP03, DJ808. 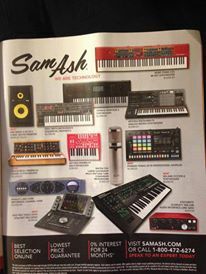 ‚Keyboard Magazine‘, Page/Seite 39, issue/Ausgabe October 2016. 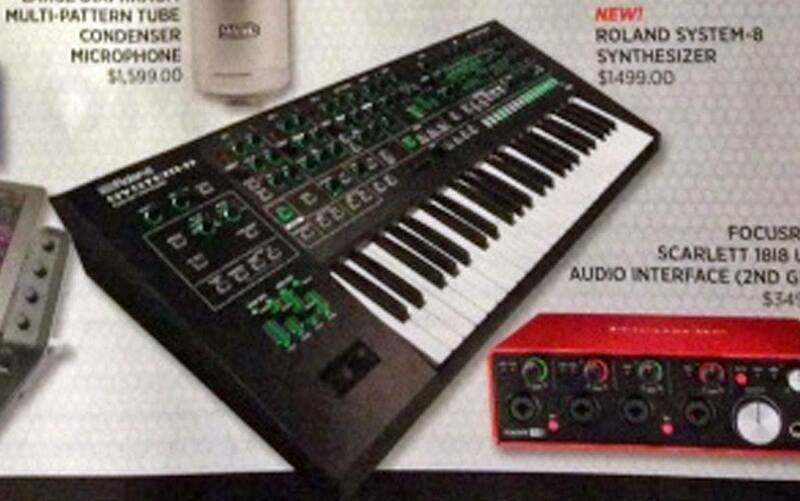 Horrible interface design on the Aira keyboards. Roland have ignored the current retro trend of providing higher quality pots and switches as used in vintage synths, so this is a shame. Would be nice to take the Boutique Jupiter model and put two of them into a nice stage-friendly box with heavy-duty faders and switches based on the original design. The original colour scheme would be nice too: the Jupiter 8 design is one of the most attractive and distinctive classic polysynth designs. Roland are mad if they don’t re-issue it. a multitimbral System 1 in the size of the System 1 .. would be cool, too. I am quite sure that large keybeds make it big and I prefer things that fit into cases. So maybe it’s good to tell..
as long as the sound is like the System 1 – it is still beyond most of other „digital simulated“ analog ones. I assume this one will do the poly analog ones – so maybe it will cover the Jupiter 8/6 and stuff as well – since it has 3x plugouts – well – hmm – jp08, ju06 and jx03 or something else? or polyphonic versions of system 100, promars (jupiter 4!! ), SH2 and SH101? we don’t know. yet. to me they did a lot right recently – but well – I still prefer the smaller size – desktop system 8 would be interesting if nothing is sacrificed for everyone to love the classic Roland sound. I rarely say that – but to me they are the first who did it properly enough. stage friendly to ME is small and light – with a microkey at/vel keyboard – as small as the microkorg ..
so this might not be the one others may want – just for my purpose – and I guess it’s hard to tell what others may want – I would not cary anything with large keys on stage to day anymore. too big – mostly too heavy .. at least I am not a big fan of that roland bender – I’d prefer wheels. so – please feel free to post your needs – I’d like 2 LFOs – to fit the classic needs but I really appreciat the integration of HPF filter mode (dynamic) and vel control on vca/vcf – I’d hope the vcf-one applies to env amount on filter not just the cutoff. anyway – it is sort of a crossover of a system 100-sounding sh7.. sort of. which is super ok for me. 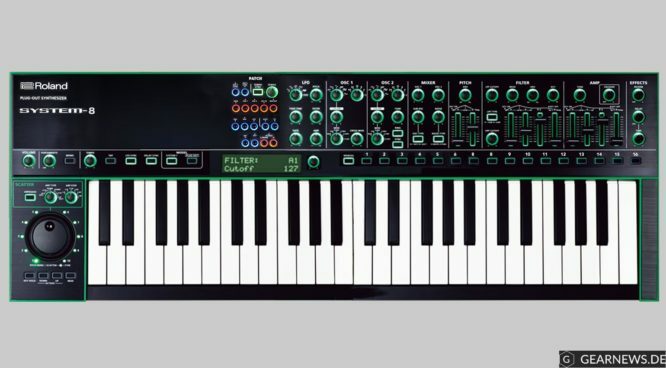 From a design perspective, this feels like a re-working of the digital low-cost designs of the 90s to me, with a plasticky feel to the Aira series that is a stark contrast to Roland’s heritage as a manufacturer of high-quality analogue instruments that are made to last for decades. The sound is important, but it’s not everything. I don’t feel particularly inspired when I sit down at a JD-800 (for example) and it feels like a toy compared to the analogue models from the early 80s. I also think that any synth that relies on software to load synthesis models has built-in obsolescence. In my view Behringer’s approach of building around a classic design and then adding modern features is much more appealing. Future Retro XS final release..